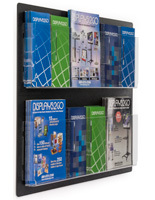 Are you shopping for a wall mount literature rack to place in a waiting room? 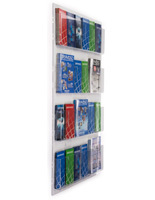 This hanging magazine display is commonly used in doctor's offices, and other medical professions to offer free reading material to patients and visitors. 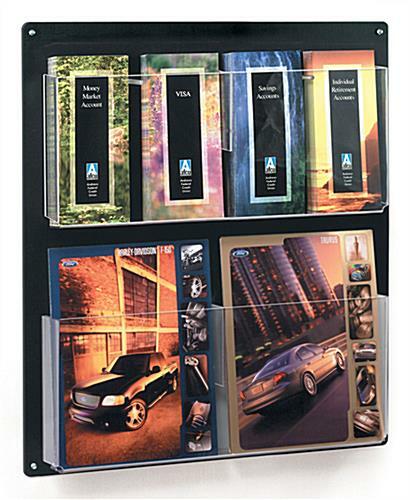 This brochure display, wall mount literature rack features a black plastic backer and four clear acrylic pockets. These pockets can be configured to hold 8.5" wide or 4" wide materials. 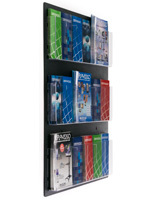 A brochure holder, such as this wall mount literature rack is simple to hang and can be completed by one person in a matter of minutes. 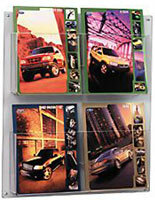 The clear acrylic pockets provide an unobstructed view of the pamphlets or flyers on display. 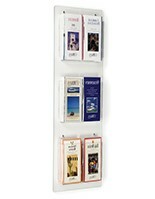 This wall mount literature rack is a magazine holder that can also be converted into a hanging brochure organizer. The separators are included with every purchase. 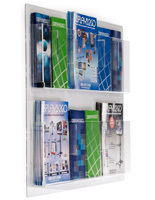 Each wall mount literature rack features four pockets that can be separated into eight smaller slots. The pocket dividers simply snap in place into the pre-drilled hole. 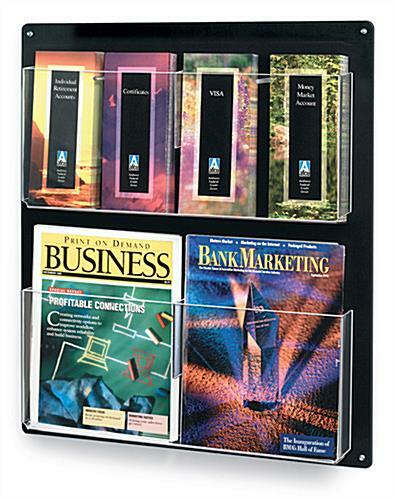 This adjustable pamphlet display, wall mount literature rack has a hole in each corner of the black backboard to hang the unit. All of the necessary hardware, including screws and anchors are provided with each purchase. 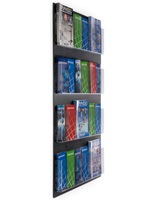 Use this wall mount literature rack to keep office spaces looking neat and organized. 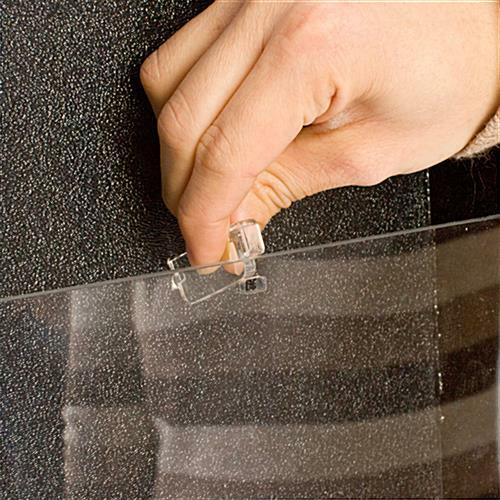 The combination of the black plastic and clear acrylic provides a neutral look that will blend with any type of décor. 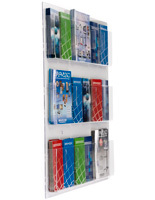 Buy this wall mount literature rack today! I'm satisfied with the quality and price for these displays. I was also impressed with the speed and ease of processing on the order. We're happy to hear it, Shane! Thanks for the great review. Great product! Easy to install and very professional-looking. Only recommendation would be to add some slides or supports to keep the papers upright in the stand. We have used these before at our Retreat Center and they are a good product!